4-Port GPON Optical Line Terminal with + 1x SFP+, Up to 2.488 Gbps TX and 1.244 Gbps RX, Up to 512 ONUs - Total (128 Clients per Port). Rack, Wall or Desktop mount. Configuring a fiber network just became as easy as setting up a smartphone. Say goodbye to command lines, manuals, and paid support licenses. 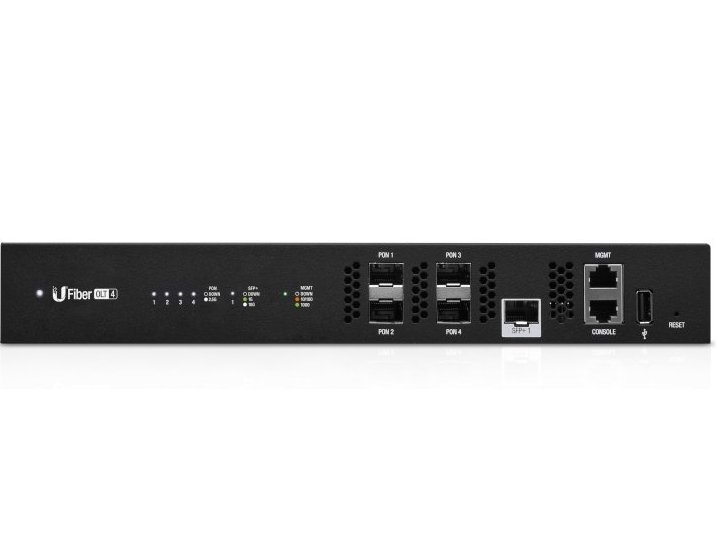 Introducing theU Fiber OLT – a fiber solution that anyone can deploy. The UFiber network is intelligently managed using the included UNMS(TM) (Ubiquiti(R) Network Management System) controller. 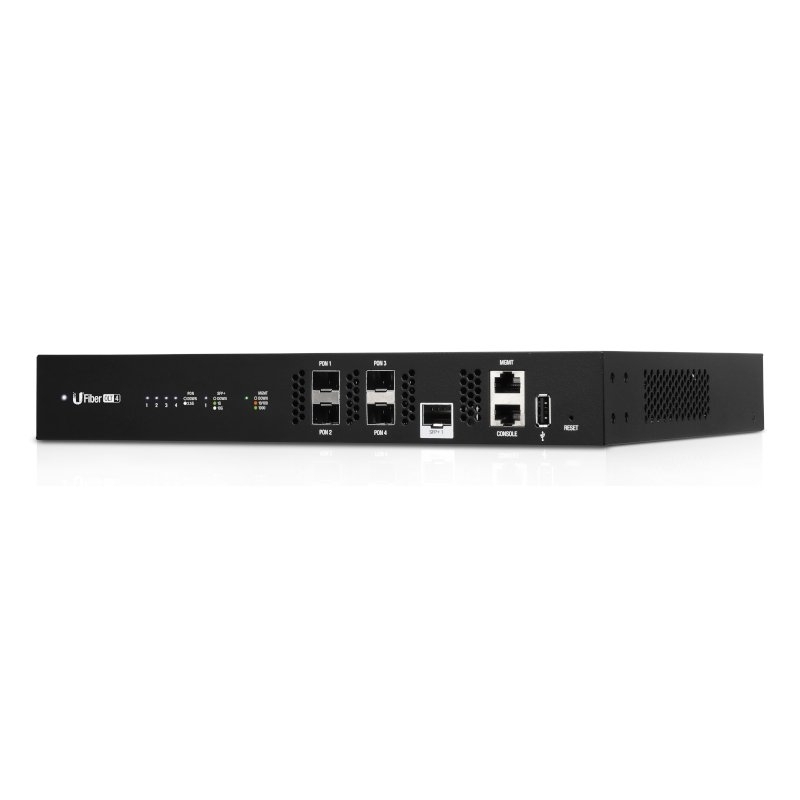 UFiber devices consist of the UFiber OLT or OLT-4 (deployed at the provider premises) and the UFiber Nano G or loco clients, which function as ONU CPEs (Customer Premises Equipment). 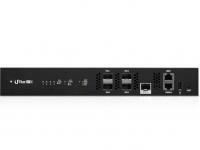 The UFiber OLT supports up to 128 ONU CPEs per GPON port with physical links of up to 20 km in distance. It also features SFP+ connectivity for uplinking. The UFiber OLT is available in two models: the UF-OLT for eight GPON ports and the UF-OLT-4 for four GPON ports.